With Valentine’s Day coming up, thoughts of love are in the air. If you’ve another love-filled day coming up in the form of a wedding, thoughts of travel may be in the air too, as you consider your honeymoon. 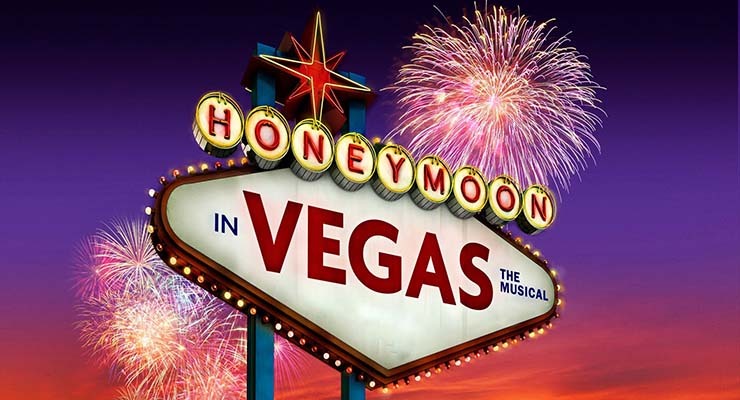 To help you along, Weddings Online have just published the results of their annual survey on Top Honeymoon Destinations for Irish couples. Do any of these take your fancy? Top of the list are the exotic Maldives in the Indian Ocean. There are many luxury resorts to choose from across hundreds of beautiful coral islands, and guaranteed year-round sunshine. Enjoy stunning blue seas, world-class snorkelling and diving, and cuisine based largely on Indian flavours. The capital Malé is a great place to explore on a day trip from your resort. See the bustling harbour and the colourful main market, where you can pick up hand-made local crafts at bargain prices. The 400-year-old Hukuru Misikiiy mosque, built with delicate coral stones, is also a ‘must see’. Flying to the Maldives generally involves a stopover in Dubai or similar. Your journey time should be about 12 hours in the air, plus the duration of your stopover. We Irish have always travelled to the USA in great numbers, so it’s no surprise that it’s popular as a honeymoon destination too. Top picks include Florida on the east coast and California on the west, with gorgeous San Francisco being particularly popular there with honeymooners. Hot on their heels though is the one and only Las Vegas, unlike anywhere else in the world. Many couples choose to combine it with another location, to make a two-centre trip. Flying time to the USA obviously depends on final destination. But with a great choice of non-stop flights from Ireland, you don’t have to spend any unnecessary time changing from one flight to another. Closer to home, Italy is the highest-ranked European country in the list of honeymoon destinations for Irish couples. Again, there is much to choose from. There’s the grandeur of the eternal city of Rome, which can be as romantic as it is historic. Choose Venice for a romantic gondola trip. Glamourous Sorrento, overlooking the Bay of Naples, is another popular choice with honeymooners. It offers Pompeii and the city of Naples as day trips. Up north, scenic Lake Garda is another popular choice. There are countless small towns and luxury hotels to choose from, and there’s an air of serenity there that’s perfect if you want a chilled-out honeymoon with your new husband or wife. Fly out of Dublin, and you can be in Italy in as little as two and a half hours (Milan) or three hours (Rome). It’s perhaps a little surprising that Mexico features so highly on the list of top honeymoon destinations for Irish couples, but when you consider how it offers glorious sunshine and great value, maybe it shouldn’t be a surprise at all. Cancún, on the Yucatán Peninsula, is by far the most popular choice. But if you’re going on honeymoon, choose your resort wisely! While Cancún can be a great honeymoon destination, it’s also ‘party central’ for young American visitors. Do your research or talk to a good travel agent to be sure that your resort is a honeymoon destination, and not a party zone! Flying time from Dublin to Cancún tends to very between 14 and 18 hours, depending on stopover. There are no direct flights. Spain is the top destination with Irish holidaymakers anyway, so it’s no surprise that it’s no different with honeymooners. But again, for a honeymoon, you’ll want a different type of resort than you’d seek for an ‘ordinary’ holiday. All the holiday hotspots have luxury resorts suitable for honeymooners though, and a good travel agent will point you in the right direction. Other options are the urban chic of Madrid, beautiful Barcelona, historic and rustic Toledo, and the rolling countryside of Andalucia. Wherever you’re going in Spain, you can expect to be there with less than three hours of flying from Ireland. The only exception is The Canary Islands, which takes about four and a half hours. 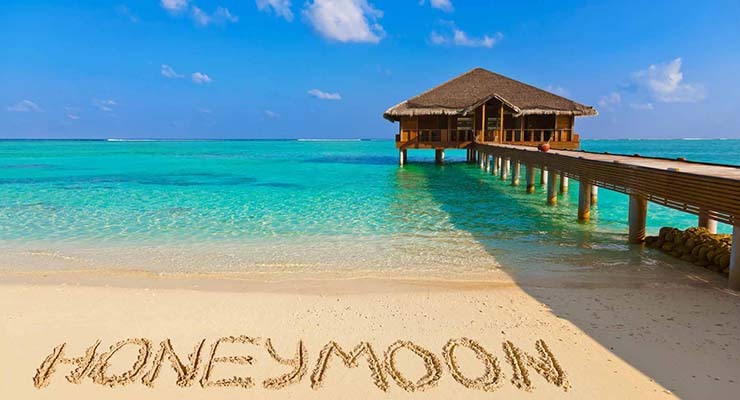 Wherever you might be going on honeymoon, make sure you have travel insurance for such a special trip. The last thing you want to be doing on honeymoon is frantically trying to deal with the unexpected because you didn’t take out the appropriate cover before you left home. Take out a policy with us, and you won’t have to worry about any such thing. A policy with Insure My Holiday entitles you to great cover for a great price, whether you choose single trip travel insurance for your honeymoon, or annual multi-trip travel insurance, if you’re likely to do more travelling in the coming year too. Whatever policy you choose with Insure My Holiday, you get a high standard of cover at a low price.